So... be prepared to be shocked. Yes, I've finally managed to get around to bringing you one of my recent commissions! 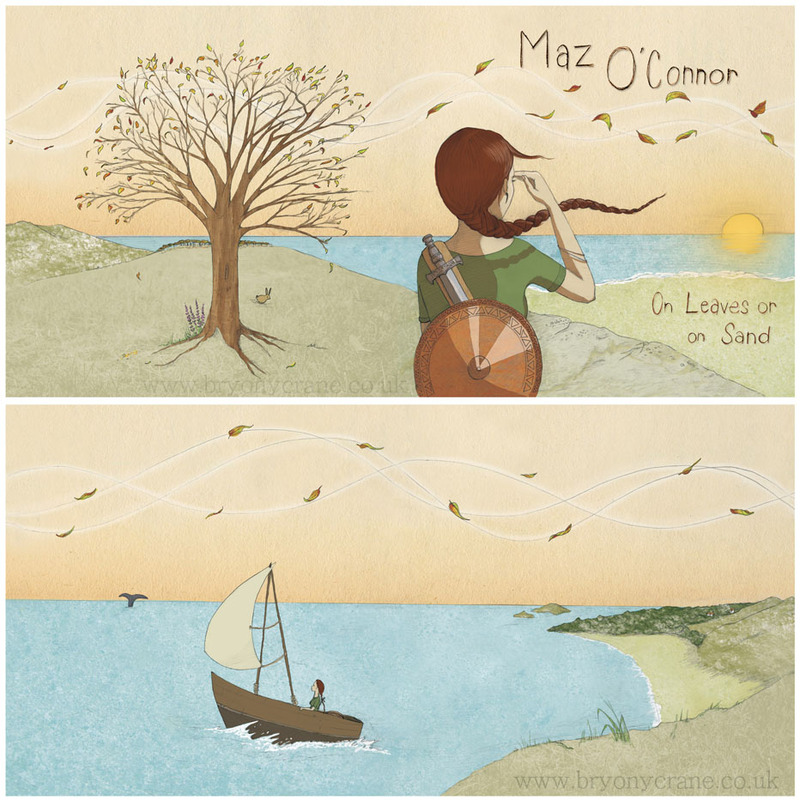 A lovely folk artist, Maz O'Connor, contacted me a while ago about doing the booklet illustrations for her new EP release 'On Leaves or On Sand'. 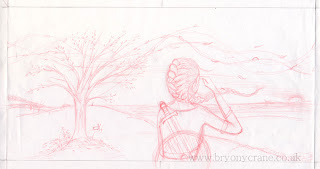 I thought for a change that I'd show you a bit of my working process as well, instead of just the final finished piece. 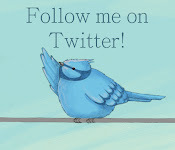 I'll try not to bore you too much! 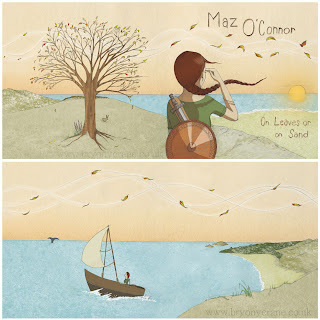 Maz had given me a really good idea of what she wanted for the artwork in various emails; an organic natural feel, and the idea of an image of a strong woman searching for a lost love from one of the songs on the EP. 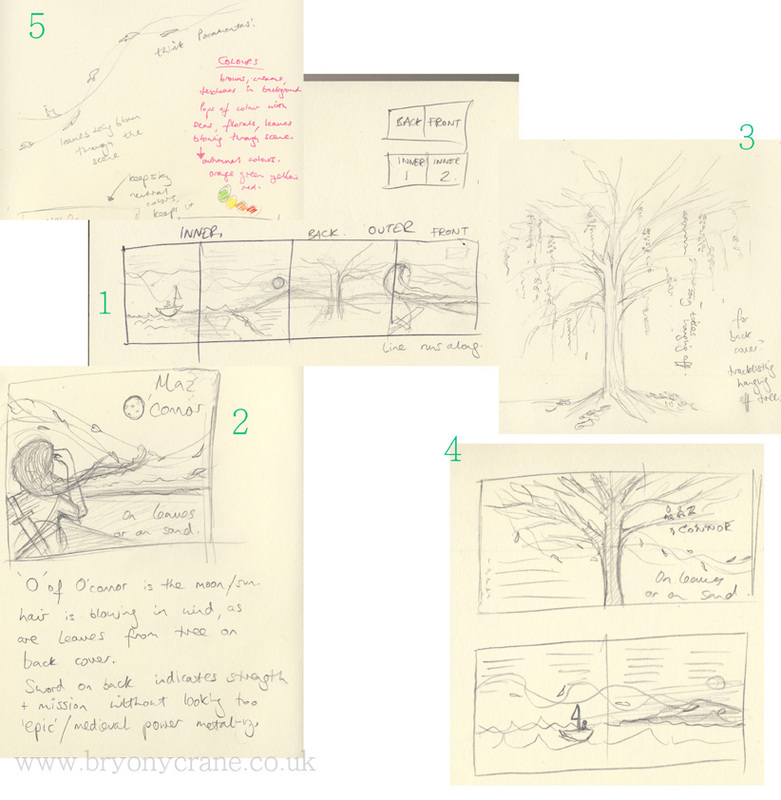 These are some scans of my first thoughts and rough ideas in my sketchbook. 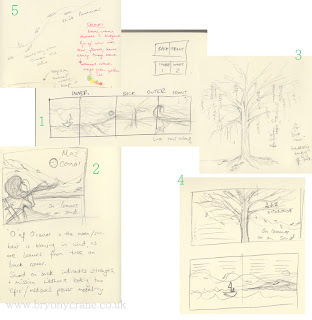 Usually I would send thumbnails of my initial ideas in a fairly basic form to the client to see if we are on the same page regarding ideas for the project. 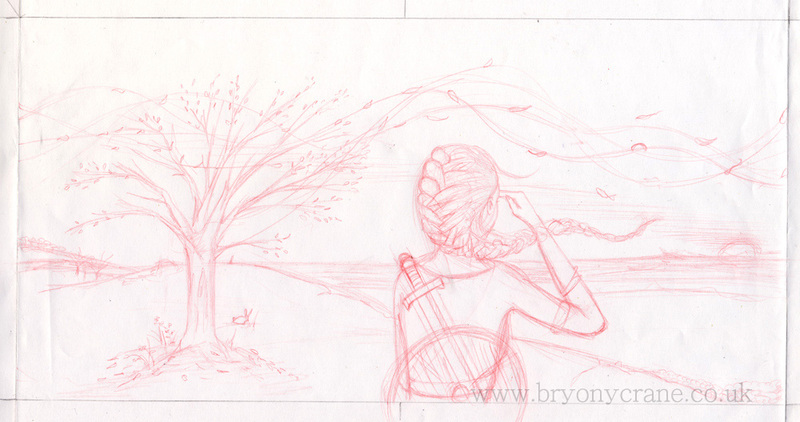 Once the client has decided on which idea is most suitable, I then work that idea (or a couple) up into more finished rough pencil sketches for approval and any amendments. 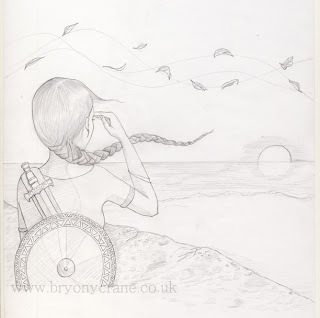 When the rough sketch is approved and amended, I work it up into a final finished pencil drawing (I tend to use pencil rather than ink for my final linework). The previous drawings are scanned, cleaned up and sent once again to the client for approval. A long stretch of digital painting with my graphics tablet later, and the artwork is complete! I've also added some hand-drawn text for the artist and album names, as a regular font wasn't really working with the more organic feel of the illustration. 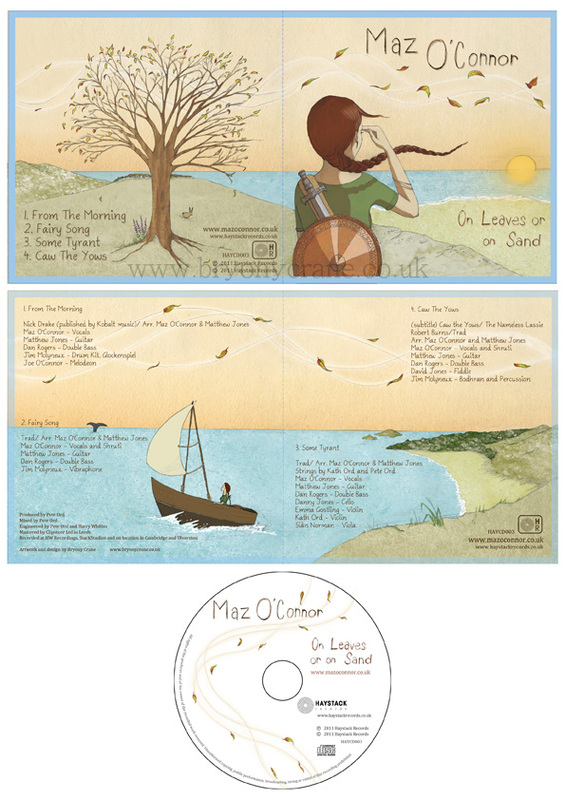 The final EP, complete with illustrations and a little foray into graphic design with the layout of the text information for the booklet and disc. 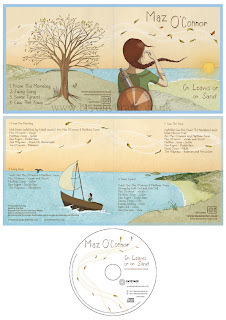 I haven't seen the finished CD in the flesh yet, but I'm really excited to! lovely to see your process- I hope the musician was very pleased!